In July 2017 Mainetec reclaimed standard front idler assemblies for BMA Saraji as part of a shovel shutdown. The client had requested a reclamation of the assemblies in preference to a full replacement, in order to keep costs down. We have refurbished several sets of these assemblies in the past so our components are tried and tested in the field. The reclamation included strip, clean, NDT and re-sleeving of the idlers including all machining, and the supply of our own bushes, seals, shafts, retainers and thrust washers. 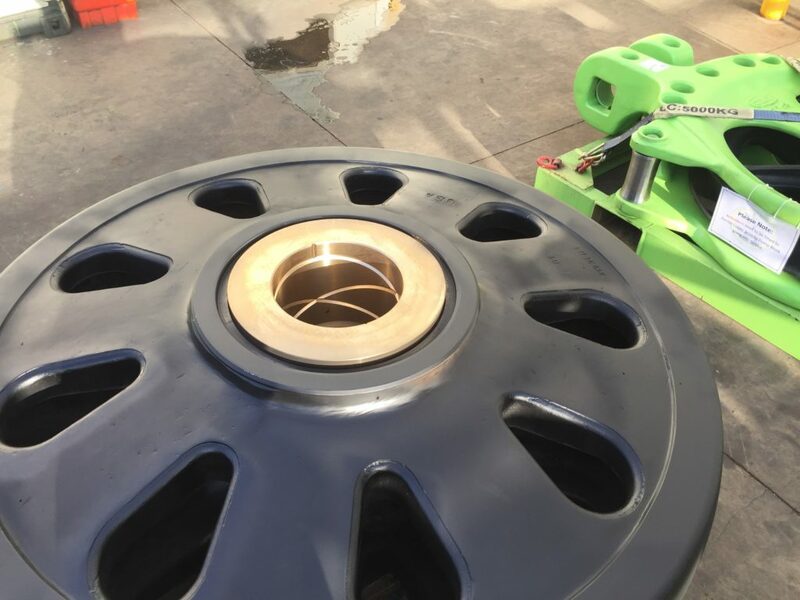 The idler assemblies were turned around quickly to fit the client shutdown timeframes to ensure that the machine was up and running on schedule. Your project could be next – contact us today to see what we can do for you.